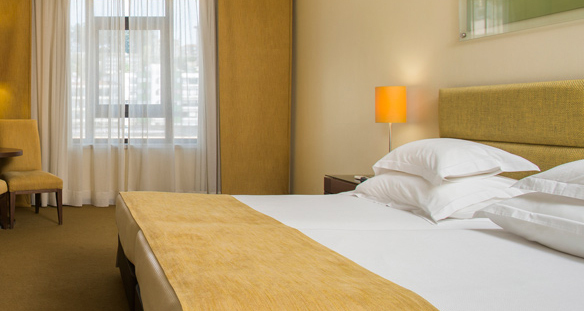 Featuring an amazing view over the Mondego River, the Vila Gale Coimbra hotel is also close to the historic city center. Coimbra is also the home of the University of Coimbra, recognized as a UNESCO World Heritage Site. Easily accessible from the hotel are cultural points of interest such as the long staircase, the Old Cathedral, the Church of Santa Cruz, the Botanical Garden, the Se Nova Cathedral, and the National Museum of Machado de Castro. 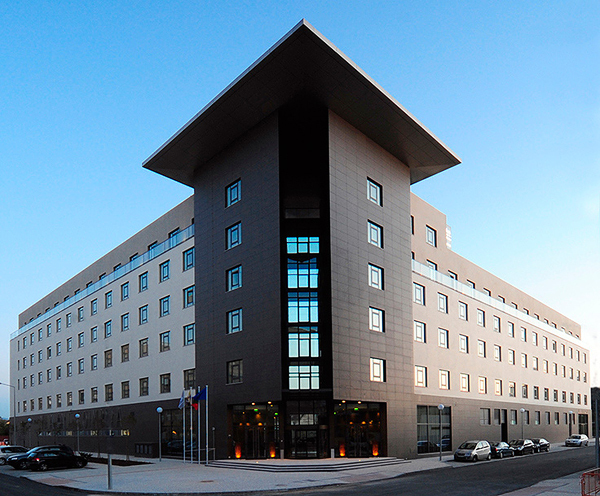 The Vila Gale Coimbra, with 229 modern apartments, has a dance theme that inspires the décor. All standard rooms are equipped with air conditioning, free Wi-Fi, LCD TV and mini bar. The private bathrooms are fitted with bathtub, hair dryer, and Makeup/Shaving mirror. 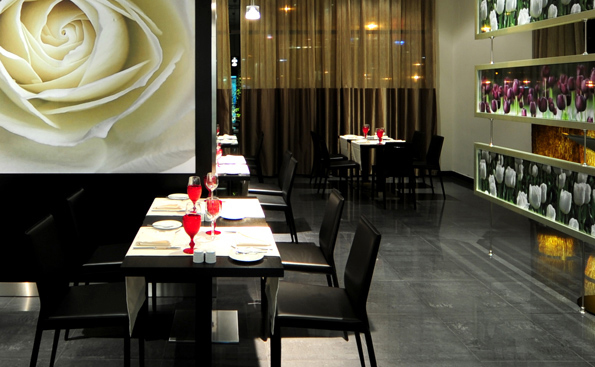 Vila Gale Coimbra’s two restaurants offer delicious and innovative local fare, mixed with international choices. Restaurant Versatile showcases an extensive breakfast buffet as well as lunch and dinner, while Inevitable Restaurant and bar will offer a-la-carte dining and festive drinks. The Vila Gale Coimbra hotel spa promises wellness, calm and anti-stress treatments. Here, enjoy a heated indoor pool, steam room, hot tub, and sauna. Massage and beauty treatments are also available to relax and enhance. Or take a lap and soak up the sun with an outdoor swimming pool and beautiful gardens and outdoor spaces.